Buying a truck can be a lot of fun, but the financial side can sometimes be a bit of a minefield; especially if you are a first time buyer. At Fleetex we take take this hassle away. 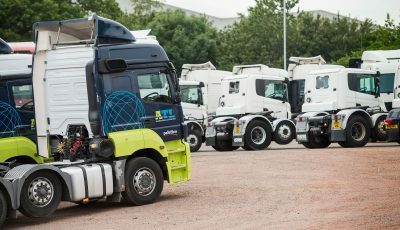 We understand that finding the right finance option is equally as important as finding the right truck, which is why we've teamed up with a professional finance supplier, who have been helping our customers with tailored financial plans since 2007. These guys not only know the industry, they also know the ins and outs of operating a truck or a fleet. A satisfied customer is our primary goal, which is why we strive to offer the best financial support; helping you to concentrate on the other things that really matter to your business. Unfortunately, vehicle finance is only available to UK customers. To gain a rough estimate of how much you will be able to borrow, take a look at our finance calculator. Alternatively, for further information please contact us or fill out the form below and our dedicated sales team will get back to you as soon as they can.